Sunday greetings to you! Rhonda here today to host the blog for you. 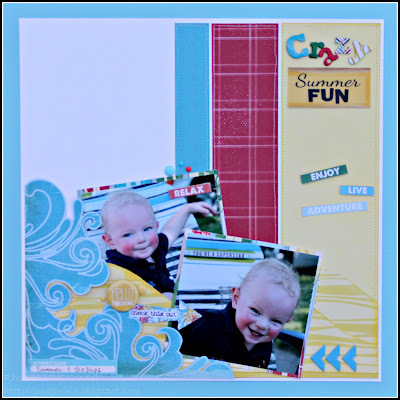 As you may know, we have been partnering with Kiwi Lane Designs this month and today my project features some of their templates along with the all new "Be Bold" collection, our new Red Hot PowderPuff Chalk Ink and a new Quotes Bundle. Let's get started! The three arrows on the right, they are the chipboard photo corners turned sideways. My first step was to select my pictures. 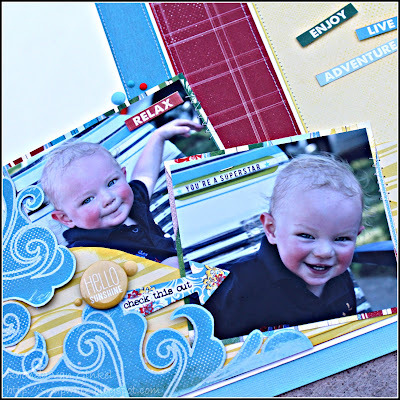 I had these two pictures of our younger sone that I wanted to use, but I wasn't sure how they might crop best... Kiwi Lane Designs Photo Templates to the rescue! 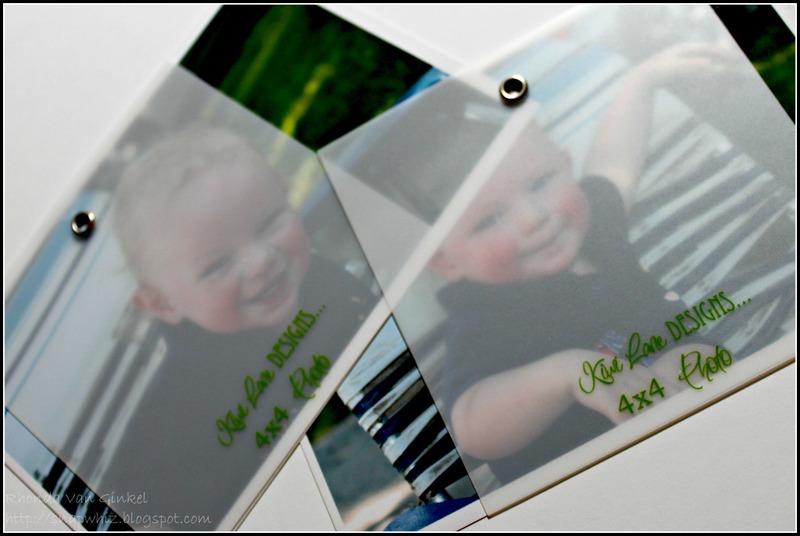 Due to the transparent durable design, these are perfect to lay over your photos to determine cropping size(s). 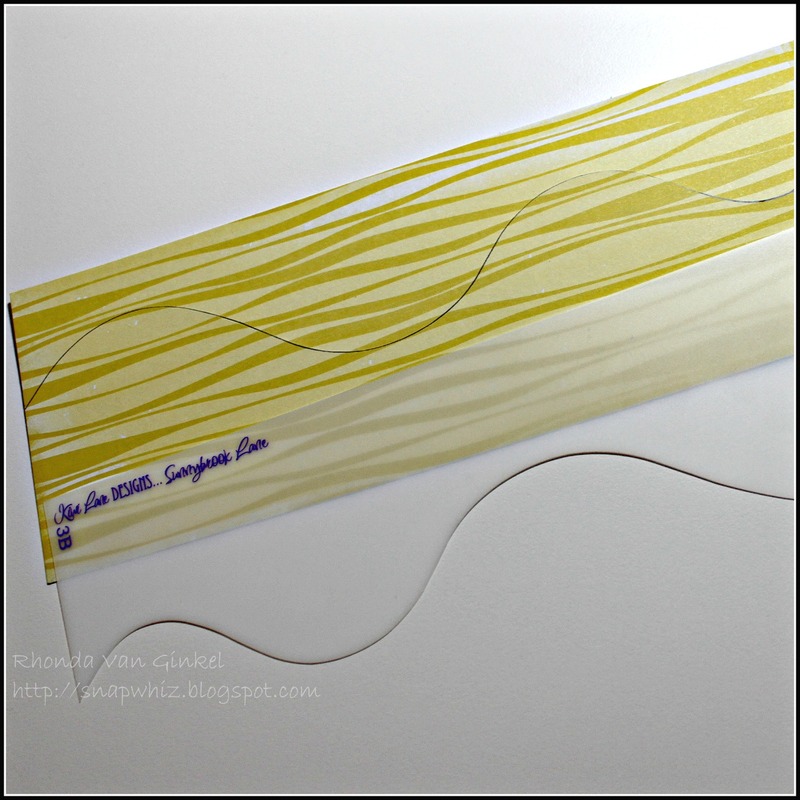 A little fussy cutting on the wave pattern paper was a fun addition! I hope you've enjoyed a little peek into how easy the Kiwi Lane Designs templates can make your project planning and design. I highly recommend the photo templates for anyone who likes to visually plan their photo layouts in advance. Other Ingredients: Blue Cardstock, Core'dinations, White Cardstock, Flair and Thickers, AC, Enamel Dots, MME, Tag and Acetate Strip, Basic Grey, Sewing Machine and Thread. Wonderful LO. I like your use of the photo corners. Love those darling photos! And the Kiwi Lane templates look perfect for helping me crop my photos!